Leeds indie-pop quartet Marsicans have just unveiled their self-made video for their harmony-laden, upbeat indie-meets-dirty-pop single Suburbs, out now on LAB Records. The video was shot entirely on singer James's Newbigging's Google Pixel 2 XL smartphone. It was shot on location in Toronto and upstate New York, while the band was on tour. Watch it below! 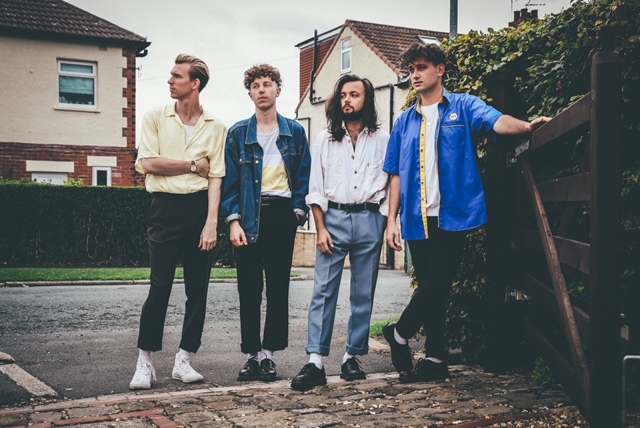 After touring with Clean Cut Kid, Jaws and Minnesotas Hippo Campus, a sold-out debut headline tour earlier this year including dates in London, Manchester, Birmingham, Glasgow and the 700-capacity Leeds Church, and a jam-packed fes-tival season that culminated in Marsicans playing to huge crowds at the BBC Ra-dio 1 stage at Reading & Leeds Festivals. Marsicans have just been announced as main support for Fickle Friends on their UK tour next month, including a date at Londons Shepherds Bush Empire.